As our senior population grows older, they face unique and complex challenges. Fear of losing control and doubt concerning the ability to pay for assistance with common daily needs can result in dangerous isolation for our seniors. It can also leave family members scrambling to provide help without any clear idea of the type of help needed, or awareness about resources that can be brought to bear to help meet the challenges. Planning in advance can make the difference in both quality and dignity of life and protecting our elders from financial ruin and exploitation. Here’s a quick look at issues facing the aging. This involves the preparation of documents necessary to pass your estate to your heirs. Typically it involves the preparation of a Will or Trust agreement. Common goals of an estate plan are to avoid estate tax and probate and to ensure that assets go to the right people. Advance directives are documents that state what you would like done if you become unable to make decisions during your lifetime. The most common advance directives are known as Durable Powers of Attorney for asset protection and Durable Powers of Attorney for healthcare protection. These directives give a trusted person the legal authority to make medical decisions for you if you are unable to make them for yourself, including end-of-life decisions related to life support measures. As we get older, some of us begin to need some sort of assistance with activities of daily living, especially if we wish to remain in our own homes and have as full a life as possible. This can mean help with housework and cleaning, shopping, cooking and running errands. Help with other essential needs can also come into play, including, help with finances, dressing, bathing, feeding and managing medications. There are a variety of living arrangements available for the elderly today. 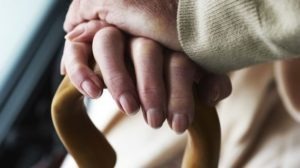 They include independent living, senior communities, assisted living, skilled care and a variety of other permutations. What they all have in common is they involve a transition from a house or apartment. The transition involves many personal, medical, and financial intricacies. Under ideal circumstances, this transition may occur when everybody is healthy and sound. Often, though, the decisions happen in a rush and after dementia or other issues have crept into the picture. A good elder law attorney can successfully guide you through this delicate process. Probate is the court system’s method for processing the estate of a person who has died. Probate involves gathering all of the assets of the estate, paying all of the debts and distributing the balance to the heirs. It is a useful process, but it can be expensive and time consuming. As a result, a common goal of estate planning is to avoid probate altogether, which can often be accomplished through a Living Trust. Nursing home care is expensive and it is not covered by Medicare. If you run out of money, it can sometimes be paid for by Medicaid. In order to qualify, however, you must be almost completely out of money and you cannot give away your money just to qualify. The situation can be more complicated if one partner in a marriage is in good health and the other needs nursing home care. The Medicaid rules for how much money you can protect and the circumstances under which you can do that, are complex. Elder law attorneys are often able to help families plan how to receive the best possible care for seniors. When a person becomes unable to make decisions, the courts will look to their advance directives to see who should make decisions for them. If the person has not prepared an advance directive, the court must appoint somebody and they are called a conservator. The probate courts appoint conservators who monitor the care of disabled people. The best way to avoid conservatorship is to prepare advance directives. Unfortunately, many people never get around to doing this, and conservatorship becomes a necessity. Elder law attorneys can assist families and older adults who find themselves in this situation. Providing care for the elderly is a huge responsibility, and many nursing homes take it seriously. However, when a nursing home does not properly care for a resident, medical errors, bed sores, fractured bones, overwhelming infections and death can be the result. 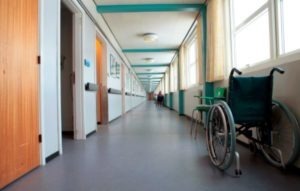 Nursing home neglect cases are handled by litigation attorneys, but they are different than routine personal injury cases. In order to effectively handle these cases, the lawyers need to be familiar with common illnesses and ailments of the elderly as well as the many regulations that apply to nursing homes. By trying to take care of everything on their own, seniors may be putting themselves at risk of missing out on medical benefits they could be able to claim or leaving important decisions up to others. Consider this, more than 7.5 million Americans will directly suffer from a car accident, stroke, cancer or dementia this year. At least 70% of seniors over age 65 will need long-term care during their lifetime. At least 40% of them will need skilled nursing care. The average stay in a skilled nursing facility is 2.8 years. The average national median cost of private nursing home care is $6,184 per month, making the average cost over $207,000. According to the FTC, 1 in 5 seniors will be exploited by an investment scam or financial fraud (some of which will be perpetrated by someone they know). 67% of people who planned to have someone help with care haven't asked; 1 in 5 caregivers said they are “not at all prepared” – Genworth Caregiver Services Study, conducted by CareScout, August 2008. 6 out of 10 potential caregivers are unprepared to handle the more difficult tasks of caregiving, such as bathing, dressing and toileting. Attitudes and Beliefs about Caregiving in the U.S.: Findings of A National Opinion Survey, Johnson & Johnson Consumer Products Company, October 2005. Nearly 1 in 5 caregivers provide more than 40 hours of care per week.- National Alliance for Caregiving and AARP. Caregiving in the U.S. Bethesda: National Alliance for Caregiving, Washington, D.C.: AARP, 2004. Are you willing to roll the dice when it involves the future of you or your loved ones? The truth is, most of us are going to face unthinkable hardships as we age—whether it results from an accident, declining health or financial predators. It’s wise to put measures in place now that allow you to safeguard your finances and retain control over the decisions that will shape your care and quality of life. AmeriEstate's Elder Law experts offer the protection you deserve. Facing the stresses that accompany health challenges and aging can cause a great deal of stress. AmeriEstate offers a guiding light through the storm, coming alongside you and your family to ease the financial and emotional burden of elder care. You benefit from top quality, low-cost elder law expertise, all while being treated like family. I’m so glad you are enjoying the information we are publishing and honored that you placed your trust in AmeriEstate for your estate planning needs. Our comittment is to always be there for you and your family.